Nature can be mysterious, if you don't know what it is. For the last few months I have been working in a Secondary School in a deprived area of inner city Birmingham (in the Science Department, naturally). The school has a very diverse intake, with the majority of the school population being of Muslim South Asian origin, but with many pupils from other backgrounds. Over thirty languages are spoken in the school and new pupils arriving from overseas is an almost weekly occurrence, though other pupils are second or third generation British (less than 5% of the schools intake are of ethnic UK origin). Needless to say this can be a challenging environment, but a rewarding one. Obviously this presents a number of challenges to the teaching staff, who cannot assume the background knowledge of students will be the same as at a typical UK school, nor that parents will understand or support every part of the syllabus (contrary to popular expectations the school tends to do well at English, as almost all parents understand why this is important and are strongly supportive). One area where teachers find pupils particularly lacking in knowledge is Natural History, areas like biodiversity and ecology. This is not just a problem with children who have recently arrived in the UK. Teachers, including those from South Asian backgrounds find pupils across the board far less knowledgeable than they would have expected a few years ago. Speaking to teachers in other parts of the country suggests this is not a problem restricted to urban Birmingham. The reasons for this I can only speculate about, but nevertheless I shall have a go. I grew up largely on the North Kent coast, surely a better environment in which to cultivate a love of nature than the urban West Midlands, but this only explains my advantage over modern Birmingham children, and not why children in other parts of the country should also be less knowledgeable, nor why teachers from the inner city Birmingham should find pupils from the same streets as themselves strangely lacking in knowledge. When I was at secondary school in the early 1980s there were a lot fewer distractions than children face today. We had TV of course; three channels when I started school, four by the time I left (actually this isn’t quite true, living on the Thames estuary we could get three different versions of ITV, and the schedules differed a lot more than they do now); the plethora of satellite and cable channels that exist today simply did not exist. Of course some new Channels are dedicated wholly to Natural History programs (Eden), and others have a lot of wildlife content (Animal Planet, National Geographic). But not every family will necessarily watch these; we have become a lot more segregated in our viewing. In 1979, when Sir David Attenborough’s Life on Earth was first broadcast, pretty well everyone watched it and at school the next morning everyone discussed it. Now a child could potentially spend all evening every evening watching wildlife documentaries, but similarly in another household they might spend all their time watching sport, soap operas or pop videos. In the area where I work a lot of families watch cable channels in South Asian languages, which, to the best of my knowledge, don’t show a lot of wildlife programs. The Internet can be even more segregated than TV channels. There are many excellent Natural History web-pages (Wildlife Extra), and much excellent material on sites such as YouTube, but there is also much more other stuff than any of us could digest in a lifetime. Without encouragement it is unlikely that children will access nature related material. This raises the question of what teachers, and other concerned adults, can do to promote an interest in nature in young people (we could also ask should they, but if you doubt that you probably didn’t read this far). A lot of good Natural History television programs are still made, and many are shown on terrestrial television. In addition much of this material is available on DVD. However if a child does not live in a household where this is watched then they are unlikely to encounter it. Schools could potentially show wildlife programs, but there would be costs involved; DVDs purchased commercially for home viewing are not licensed for public viewing, a school wanting to show them to its pupils would have to pay for an additional license. The Internet can be a powerful tool, but holds many distractions. Teachers often set researching wildlife topics as homework, but this guarantees only limited exposure to the topic. There are some good wildlife films on YouTube, which could potentially be shown in a classroom or at a science club without the need for an additional license. A wildlife program about the Galapagos Islands, courtesy of the Open University. Modern science textbooks do cover these areas, but they also cover a lot of other material, so Natural History related topics tend to only get a few pages. Few science departments can afford class sets of more specialized books, though there may be a few in school libraries. Beyond that there are numerous organizations that promote an interest in Wildlife and Natural History. Many of these have educational programs with sites that can be visited, or even people that will visit schools. However this again costs money, and may not be a priority in schools with restricted budgets. ...and could probably turn up a lot more with the help of a search engine. But I don't actually know such organizations work, and could not honestly recommend them for their educational service; any advice or information that anyone can give would be appreciated. Which leads me to where I'm going on this; I can see that schoolchildren, particularly those from less well off backgrounds, have less exposure to nature than used to be the case, and I believe this to be a bad thing. I speak to teachers and other people who work with children and I find they tell me the same thing. I can offer limited advice and can recommend a lot of organizations that work in the area and produce educational material; but I know budgets are tight and schools have a lot of other priorities at the moment. So I'm looking for any better recommendations that anyone may have, with a view to sharing these. Obviously if anyone reading this can help then I'd be grateful, but I intend to come back on this subject, so I shall be contacting a variety of organizations hoping for some good recommendations. 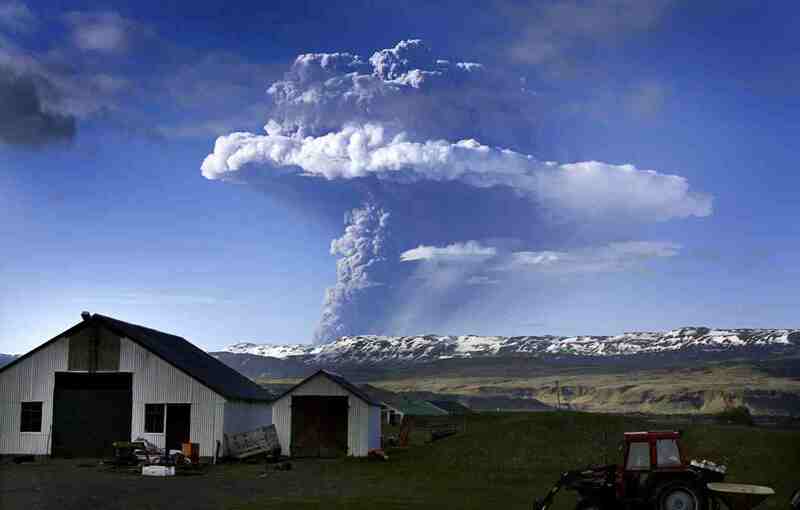 On Saturday 21st May 2011 the Grímsvötn volcano in south-eastern Iceland began to erupt for the first time since 2004. Grímsvötn is one of the most active volcanoes in Iceland, but it is hard to monitor because it lies under the Vatnerjökull Ice Cap. In the previous year the Eyafyallajökull eruption in southern Iceland, caused considerable disruption to European air travel over a period of six days, leading to concerns that Grímsvötn might do the same, or possibly worse. At the time of writing the Grímsvötn eruption is being described as the largest in Iceland foe a hundred years, ten times as large as the Eyafyallajökull eruption, airports in Scotland are already closing, and US President Barrack Obama to cut short his stay in Ireland in order to avoid being trapped. Icelandic volcanoes are unusual in that they occur on a divergent plate boundary; that is to say a boundary where tectonic plates are moving apart, with new crust material being created. Volcanoes are not unusual on divergent plate boundaries, a series of them run the entire length of the Atlantic, but they are only found in appreciable numbers above the ocean in two places, in Iceland and in East/Central Africa. The Central volcanoes occur where Africa is slowly breaking apart along the Great Rift Valley. Arabia, formerly part of Africa, has already broken away and is separated from the rest of the continent by the Red Sea, a 'baby' ocean with a row of volcanoes along its sea floor. Running south from this volcanoes occur in a broad belt running through Ethiopia, Kenya, Uganda, Rwanda, Burundi, The Congo and Tanzania. The Icelandic volcanoes are unique in that they occur on a divergent margin where two continents (Europe and North America) have long since split apart. Iceland is on a mid-ocean ridge, surrounded by oceanic crust on all sides, but so much volcanic material has been ejected that a major landmass has been created. Most volcanoes are associated with convergent plate margins, where one tectonic plate is forced beneath another. Where this happens the subducting plate is forced down into the warmer mantle where it melts, and lighter minerals bubble up through the overlying plate. This is the source of volcanoes around the Pacific Rim, in North and South America, the Kamtchatka Peninsula in Russia, Japan, the Philippines, Indonesia, New Guinea and New Zealand; in Southern Italy, where North Africa is being subducted beneath Europe; in the Caribbean and the South Sandwich Islands. Other volcanoes occur on 'Hot Spots' places where plumes of magma well up from deep within the Earth. These Hot Spots remain more-or-less fixed upon the surface of the Earth for millions of years as the plates roll over them, creating chains of volcanoes. These are the source of volcanoes in the Hawaiian Island volcanoes, the Canaries, the Galapagos Islands and volcanoes in Cameroon in Africa. In spring 2010 air-traffic across Europe was halted by ash clouds from the Eyafyallajökull eruption. Volcanic ash is extremely hazardous to aircraft in a number of ways. At its most obvious it is opaque, both visually and to radar. Then it is abrasive, ash particles physically scour aircraft, damaging components and frosting windows. However the ash is most dangerous when it is sucked into jet engines, here the high temperatures can melt the tiny silica particles, forming volcanic glass which then clogs engine. When this happens the only hope the aircraft has is to dive sharply, in the hope that cold air passing through the engine during the descent will cause the glass to shatter, allowing the engine to be restarted. Obviously this is a procedure that pilots try to avoid having to perform. In 2010 a number of aircraft operators objected to the length of time for which airports were closed, citing heavy financial losses and a belief that planes would have been able to fly safely through ash clouds of the density covering much of Europe. Many European governments were receptive to this idea, and were considering relaxing safety regulations. Pilots unions were rather less keen on resuming flights prematurely. In the event the ash clouds were short lived, and lifted before regulations could be changed. In 2011 the UK new government, which has a track record of describing health and safety legislation as unnecessary red tape, has already stated a willingness to try to keep planes flying during any protracted ash coverage, hoping to track less dense areas in the clouds and steer planes through them. It is possible that other European nations may follow suit. In addition to the danger to aviation volcanoes can present a number of other hazards. Lava flows, caldera explosions and dense ash-falls are, obviously, rather localized events, and the Icelandic government is experienced in dealing with these. There is no realistic danger of any such event at Grímsvötn affecting any other nation. Volcanoes have also been known to produce considerable amounts of toxic gasses, though again it is unlikely that these could reach beyond Iceland. More worrying are the potential for toxins in the ash clouds to be distributed widely, and the possibility of climatic disturbance. In 1970 the Hekla Volcano in southern Iceland deposited toxic hydrogen fluoride rich ash across thousands of acres of farmland, destroying crops and poisoning livestock, though again it is unclear if this could reach beyond Iceland. More alarming is the potential for climatic disturbance. In 1783 the Laki Fissure eruption, part of the same volcanic complex as Grímsvötn, spewed out in excess of a hundred million tonnes of sulphuric acid in aerosols, causing freak weather conditions across the whole Northern Hemisphere, and widespread crop-failures and famine in Europe, an event some historians have cited as a cause of the French Revolution (though poor behavior on the part of the French Royalty and Aristocracy clearly played a role). In the modern world the infrastructure is present to prevent crop failures turning into widespread famine in Europe, but it is in theory also there to prevent famines in Africa and India, yet these still occur. Current political thinking allows for speculation on food markets, which can drive up prices on short commodities, making food shortages much worse (something the World Development Movement is currently campaigning against quite vigorously). At the same time European many governments are cutting back on measures to help the less well off in their societies. Potentially this philosophy could turn a crop failure into a major crisis, though it is probable that faced with widespread famine, and the resultant upheaval would lead to a change of policy direction, the process of getting there would be unlikely to be a pleasant one. Could There be Life on Gliese 581d? Gliese 581 is a red dwarf star 20.3 light years from the Earth. It has a mass 30% that of our sun, and is only 0.013 times as luminous. A number of planets have been discovered orbiting the star in the last six years; the system is currently thought to have at least four planets, and possibly six. The first planet discovered in the system was Gliese 581b in 2005. Traditionally stars in multiple systems have been designated with capital letters, so in a binary star system the stars would be A and B. This has been modified for planets, with a lower case letter being used. Generally this starts with a 'b', with the star being 'A', but this is not set in stone and planets are sometimes designated 'a'. Exoplantology is a new field, and the rules are still a bit flexible. Gliese 581b was discovered by a Franco-Swiss team of scientists using the High Accuracy Radial Velocity Planet Searcher (HARPS) system. This is a spectrographic tool designed to detect a wobble in stars movement by detecting very slight Doppler shifts in the spectrum they emit. This wobble was then used to infer the existence of planets. Most planets discovered by this system, including Gliese 581b, have since been verified by other methods. Gliese 581b is at least 16 times the size of the Earth, roughly the same size as Neptune, and orbits very close to the parent star, at a distance of 0.04 AU, that is to say 0.04 times the distance between the Earth and the Sun. This is 10% of the distance at which Mercury orbits the sun. Two years later (2007) the same team discovered two further planets in the Gliese 581 system (Gliese 581c & Gliese 581d) using the same method, albeit slightly refined. Both are smaller than Gliese 581b having masses roughly 5.6 times that of the Earth. As such they classed as 'Super-Earths', planets substantially larger than the Earth, but two small to be classified as gas giants. At the time of their discovery Gliese 581 was considered the most Earth-like planet then known, even though it is an uncomfortable 0.07 AU from its parent star (Gliese 581d was initially thought to have a mass of 7.7 times that of the Earth making it less Earthlike). Gliese 581 is much smaller and dimmer than our sun, so 0.07 AU is not as lethal as it would be in our solar system, but it is still likely to produce a hellish, Venus-like world. Gliese 581d is further away from the parent star at slightly over 0.2 AU (half the distance between Mercury and the sun). There are different estimations on the exact distance and the degree of eccentricity in Gliese 581d's orbit. This seems very close, but since Gliese 581 is a much smaller star than our sun, this means Gliese 581d will only receive 30% of the sunlight Earth does (Mars receives 40%), making it a lot colder and darker than we would consider habitable. In 2009 a team from the Observatory of Geneva used the HARPS system to discover a fourth planet, Gliese 581e. This is a much smaller planet, with a minimum mass of 1.7 times that of the Earth, the smallest planet yet discovered orbiting a main sequence star. However Gliese 581c orbits its parent star at a distance of 0.03 AU - inside the orbit of Gliese 581b, making it a very un-Earthlike place. 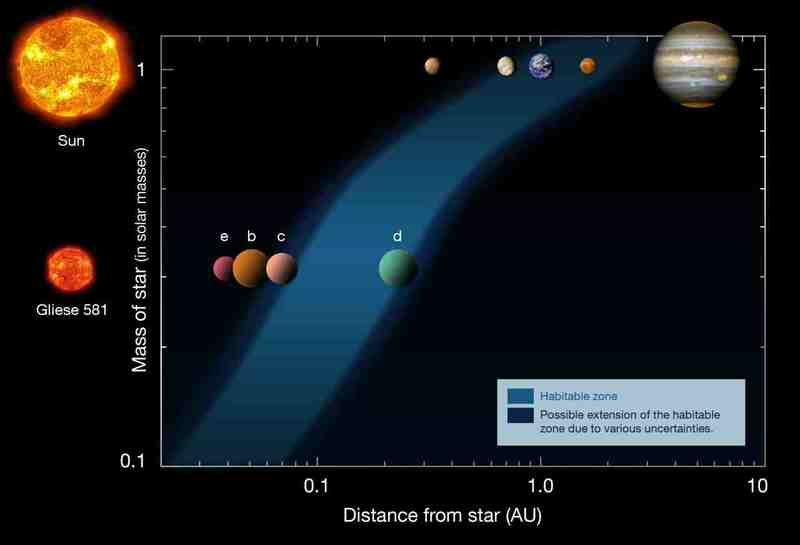 The 'Goldilocks Zone' of Gliese 581. 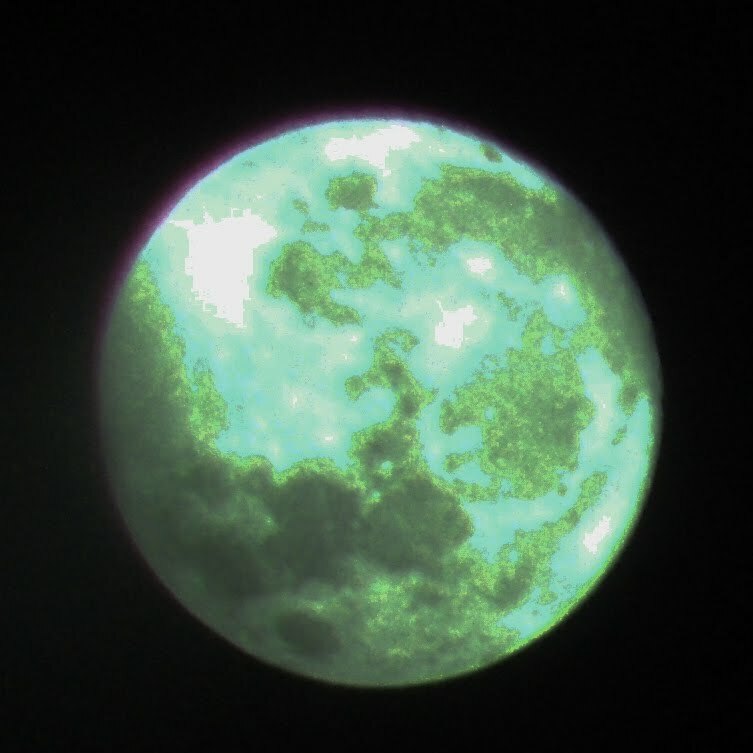 In 2010 a team from Lick-Carnegie Exoplanet Survey reanalyzed the data from the HARPS system, combined with data from the High Resolution Echelle Spectrometer (HIRES) at the Keck Observatory in Hawaii. They came to the conclusion that the Gliese 581 system contained a further two planets, Gliese 581f & g.
Gliese 581f would be the furthest planet out in the system, at a distance of 0.758 AU, slightly further from the parent star than Venus in our system, but proportionally further out in the smaller Gliese 581 system. With a mass of at least 7 times that of the Earth, Gliese 581f could potentially be a super-Earth type planet or a small gas giant. Gliese 581g was far more interesting, predicted to have a mass of between 3.1 and 4.3 times that of the Earth, which would give a slightly greater gravity and denser atmosphere than Earth, but still comfortable. More interestingly Gliese 581g orbits at a distance of 0.146 AU, right in the middle of the system's 'Goldilocks Zone'; the area deemed suitable for life, far enough from the star to not be to hot and close enough not to be to cold. If Gliese 581g had an atmosphere similar in composition to that of the Earth it would be slightly cooler, but certainly habitable. However re-analysis of the HARPS/HIRES data by other teams, including the Observatory of Geneva, has cast doubt upon this interpretation. At the time of writing neither Gliese 581f nor Gliese 581g can be confirmed as definite planets. On the fifth of May this year (2011) a team lead by Robin Wordsworth of the Laboratoire de M et eorologie Dynamique at the Institut Pierre Simon Laplace in Paris published a paper in The Astrophysical Journal Letters, which re-looked at Gliese 581d. Gliese 581d had been thought to be at the outer edge of the system's Goldilocks Zone, and likely to be to cold to have liquid water. However Wordswoth et al. observed that a large rocky planet would probably have a dense atmosphere, and that if this atmosphere was dominated by CO₂, then considerable global warming would occur, making the presence of water far more likely. We are familiar with three rocky planets that have atmospheres, Venus, Mars and Earth. Both Venus and Mars have atmospheres made up predominantly of CO₂. The Earth has an atmosphere made up predominantly of Nitrogen and Oxygen, but geologists believe the early atmosphere of was comprised of CO₂, and that most of this has been lost due to the activities of biological organisms; buried as hydrocarbons or limestone, or split releasing free O₂. We know of no reason why Gliese 581d should have a radically different atmosphere to the planets of our solar system, so the prediction of a thick CO₂ atmosphere does not seem unreasonable. Based upon this Wordsworth et al. propose three possible models; (1) an atmosphere which lacks sufficient CO₂ to cause notable global warming, giving a planet which lacks liquid water and is covered in ice; (2) an atmosphere with sufficient CO₂ to allow liquid water, giving a planet with substantial oceans of water; and (3) a planet with a thick CO₂ atmosphere causing a runaway greenhouse effect, leading to a planet with no liquid water similar to Venus. If Gliese 581d does host liquid water then will still be a mighty strange place. Though it is much closer to it's parent star than the Earth, it will only receive about 30% of the light that Earth does, due to the smaller dimmer star which it orbits. However the close proximity to its star makes it likely that Gliese 581d (and the other planets in the Gliese 581 system) is tidally locked, one side turned permanently towards the star. The close proximity of the star means the planet orbits it quickly as well, completing one orbit every 67 days. Most notable to any human visitor would be the high CO₂ of the atmosphere. CO₂ is not poisonous to humans, but it triggers a gagging response; we know we are asphyxiating because of excess CO₂ in our lungs and are (strongly) motivated to do something about it. If you we were in a pure Nitrogen atmosphere we would not produce any CO₂, and would not recognize we were suffocating. Place us in an atmosphere 50% O₂ and 50% CO₂ then we would believe we were suffocating in an excess of oxygen. Potentially Gliese 581d could potentially have an atmosphere we could breath, but that our bodies would tell us was poisonous. The Earth is about four and a half billion years old, and scientists currently think that life has existed here for at least 3.8 billion years, though for much of the planet's history this has been restricted to single celled micro-organisms living in the sea; large multicellular organisms that we think of as life have existed for less than half a billion years. The exact age of the Gliese 581 is unknown, but it is thought to be around 7-10 billion years old (red dwarf stars have longer lives than other main-sequence stars, as they burn their fuel more slowly). This gives plenty of time for life to develop on Gliese 581d, though how sophisticated this might be we can only guess at. Gliese 581d only receives 30% of the light Earth does, but this does not preclude photosynthesis; marine algae on Earth photosynthesize at depths where less light is available. One of the most profound effects of life on Earth has been the change that it has made to the atmosphere. The early Earth is believed to have had an atmosphere far richer in CO₂, but much of this has been removed by photosynthesis, releasing free oxygen in the process. Modern multicellular animal life, particularly that found on land and in the deep oceans, could not occur until this free oxygen had accumulated. It is thought that oxygen was being produced by photosynthetic organisms long before it started to build up in the atmosphere; before this could occur the free oxygen would have reacted various other elements on the Earths surface; ancient deposits known as banded ironstones are thought to have formed as the free oxygen reacted with iron in the early oceans. On Gliese 581d this could be problematic, as removing the CO₂ could cause the temperature to fall leading to a global freeze. Something similar happened on the Earth; about 800 million years ago saw the onset of period of global glaciation, referred to as the 'Neoproterozoic Snowball Earth'; in which the oceans appear to have frozen to the equator, with open water remaining only in a few areas of volcanic activity. This lasted till about 650 million years ago, when the glaciers retreated. Shortly after this the first multicellular animals appear in the fossil record, leading to speculation that the period of global freezing was connected to the development of animal life; multicellular animals may have been better able to cope with the frozen conditions, and may have (eventually) produced enough CO₂ to raise the temperature again. On Gliese 581d this could be far more serious, since potentially the temperature could drop far enough to freeze CO₂ from the atmosphere, a situation which it is difficult to see life recovering from. Nor could we assume that life would necessarily that it would necessarily respond to conditions in the same way as on Earth. However the potential is there for life to have existed on Gliese 581d for a very long time, potentially longer than on Earth, and it is likely to have reached some level of sophistication, though not necessarily in a way we expect or recognize. Stars on Sciency Thoughts YouTube. Labels: exoplanet, Gliese 581d, Goldilocks Zone, HARPS, HIRES, life.